Got a hankerin’ for something sweet? 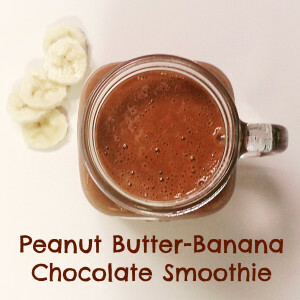 Check out our latest #thirstythursday smoothie recipe below and let us know what you think. It’s packed with protein, antioxidants, potassium, vitamin B6 and much, much more. Plus, it satisfies your sweet tooth too! Directions: Blend all ingredients in a high-speed blender. Pour and enjoy! With in-depth knowledge of skincare product formulation and extensive expertise in the spa industry, I take a very hands-on approach when creating products for our customers and the exclusive spas, salons and resorts that our company serves. To me, delivering superior customer service and quality products can never be compromised. Excellence is our standard at Makes Scents Natural Spa Line. About Makes Scents Natural Spa Line... At Makes Scents Natural Spa Line, we create all natural spa products for exclusive salons, resorts and spas nationally. In addition to producing our own signature line of products, we also formulate custom private-label spa products for establishments who want to make their brands even more memorable. Spas and salons can sell our products on a retail basis in our eco-friendly, attractive packaging, or they can buy our products in bulk to use in their clientele treatments. Our products are also available through the online store on our website. Makes Scents Natural Spa Line is proud to be a member of iSpa®, the organization recognized worldwide as the voice of the spa industry.